To mark their 5th anniversary, Sharon from the fabulous Flea Market in Newmarket Square asked me to dust off an idea I had for a photo poster. 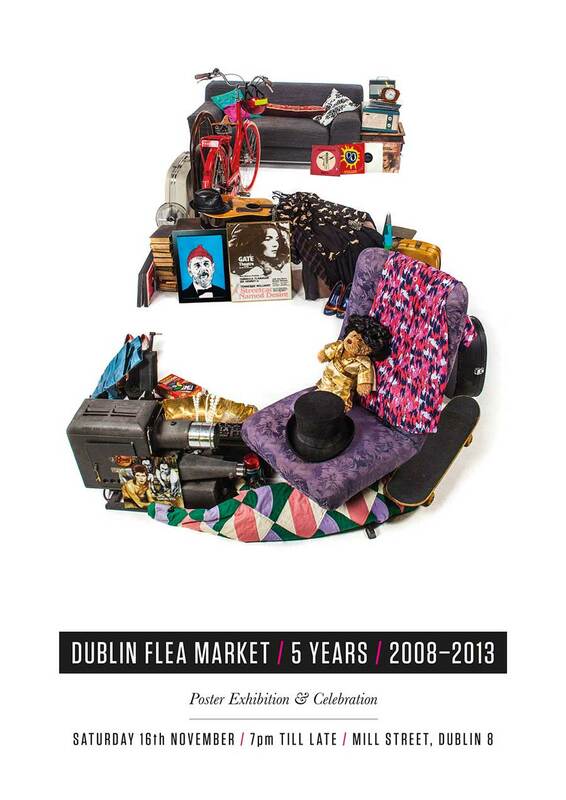 We had shelved it for the regular flea poster as my original plan would have taken a hangar-sized studio to complete! We realised a single ‘5’ character would be much more achievable. Cue much carrying of flea stock into the great South Studios and running up and down step-ladders to get the final shot for the poster. My trusty assistant whacked Aisling’s wing-mirror off her van as we emptied the studio space of crap against the clock. I missed their shindig to mark the occasion. Not happy about that.